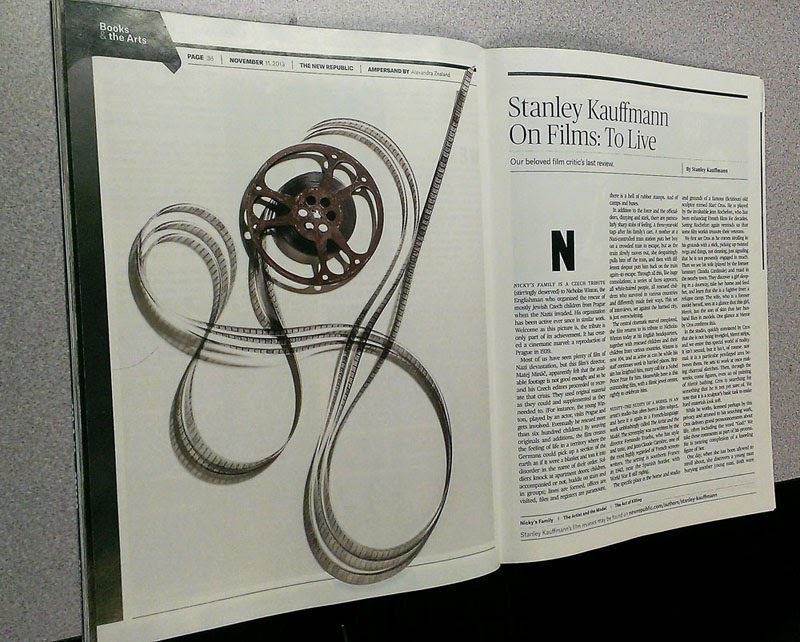 In October, I was contacted out of the blue by the Art Director of The New Republic, asking if I could create an Ampersand out of film, for the "Books & the Arts" section of their magazine, It would run in the same issue as the last review of their long-time film critic, Stanley Kauffman, who had just died. With about 2 weeks until deadline, I set to work. I messed around with short and long pieces of film, played with foam core, straight pins and super glue, and sent the AD several working photos of the piece, which he responded to enthusiastically. When the piece was finished, I booked the excellent photographer Pete Duvall, and he and I worked together to get just the right shot. And of course the Art Director hated it. The film in this photo, while beautiful, doesn't read enough like film. In retrospect, this turn of events wasn't surprising as the AD and I had not discussed the lighting in enough detail. Which is basically my fault, since this was my first experience working with a magazine, and I didn't know what questions to ask ahead of time. Luckily, I had a back-up plan, and Pete was available to work with me again the next day. This time I used film with more light areas in the image, so that it would read more as transparent, and created more shadows on the back drop. 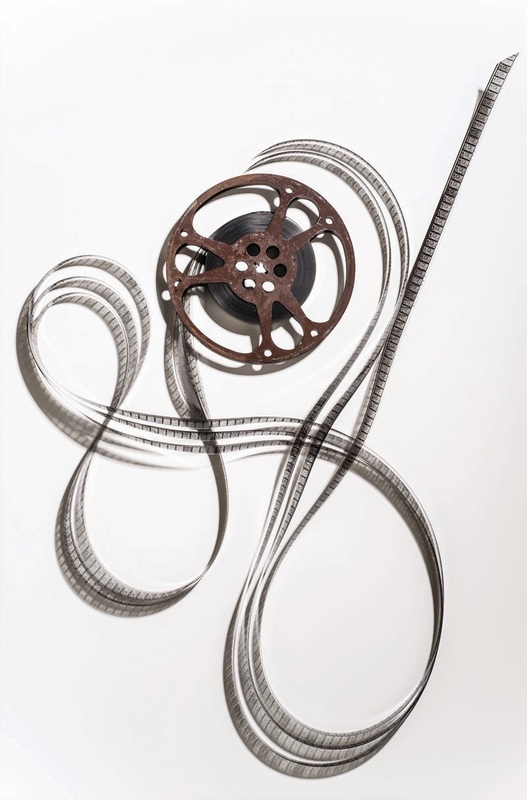 And of course, adding the film reel helped give it context. That's really excellent! 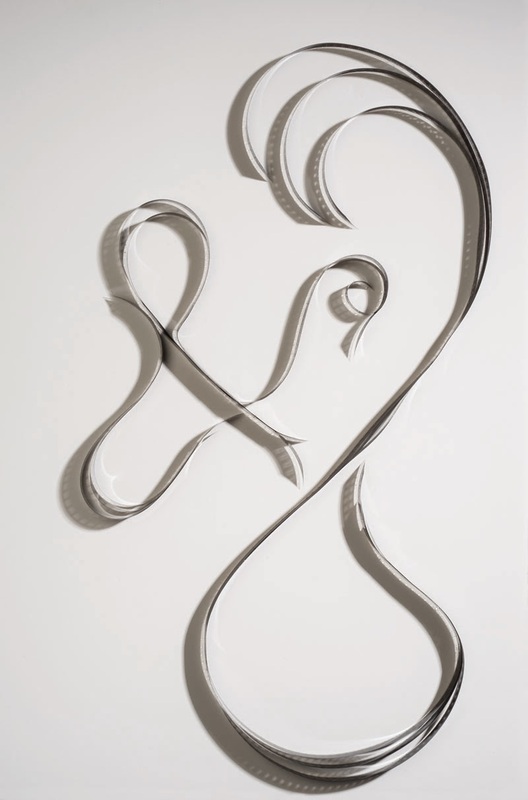 It's pretty cool that you were asked to create the piece in the first place, and the final result is just perfect. And it does indeed look awesome in print.